Neptune Sailing has a range of dinghies available for training purposes. We offer dinghy courses ranging from RYA Level 1 to Level 3. 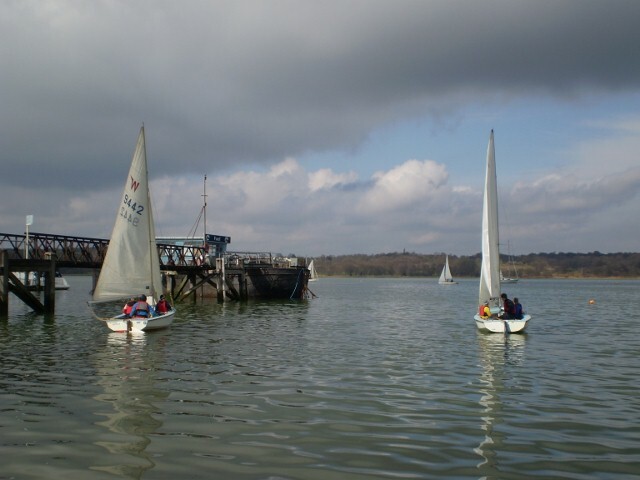 Level 1 courses take you on to the water in a stable Wayfarer dinghy. With an RYA Instructor on-board, you will soon be helming and crewing the boat. All practical and theory elements are covered at a pace to suit each individual, and help is always at hand. At the end you should be able to sail a dinghy in lighter winds with some confidence and have some understanding of how a dinghy works. Level 2 courses take you a stage further, aiming to build your confidence as you gain more experience. You will be sailing the dinghy more efficiently, especially going into the wind. You will be able to cope with a capsize, quickly righting the boat with your crew. Level 3 courses are yet more challenging, but fun too! You will be rigging the dinghy with minimal help, helming with confidence, and dealing with the diificulties of sailing on tidal waters. We expect you will want to try several different dinghies. Dates don't fit your group? Let us arrange dates to suit.